Navixy introduces 11 system updates — seven for the Web interface and four for the mobile application. We will discuss each of them in details. 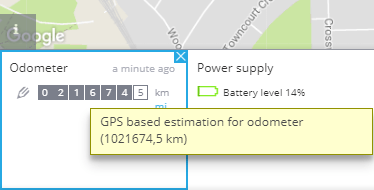 GPS odometer value was increased to 7 digits. Some trailer trucks can cover more than one million kilometers during 3 years. A dashboard odometer can’t withstand such a huge run, so the seventh digit is not taken into account — all values get updated, a mileage is displayed from zero. Navixy online odometer will show the actual mileage, even if it ran above a million. Navixy’s counter is synchronized with a car odometer. When a kilometer mileage limit is reached a value will also be updated to zero. Though, by placing the cursor on “odometer” numbers in the widget, a user will get an actual value. 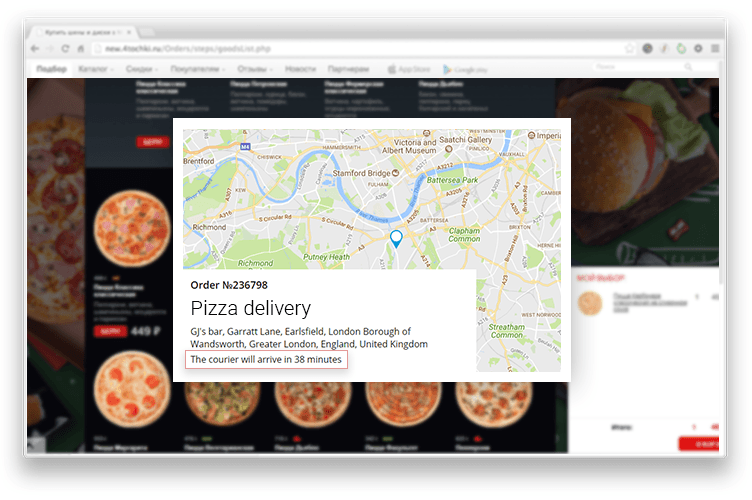 “Courier on the map” is a web app often used by delivery companies. A company can place a card with an order number and a particular courier right on its website. A plugin then shows a user the order route line. Upgraded “Courier on the map” contains an additional line — the approximate arrival time of the courier. How is the approximate arrival time calculated? A monitoring system refers to GIS (geo-information service, for example Google) for the data arrival time. The approximate time is calculated based on the distance between the courier and the place of delivery, taking into account the road infrastructure. Parameters are regularly updated to keep a customer informed. Many corporate clients, for example, carrier companies, work in a system with a large number of geofences. Petrol stations can be marked as geofences since company policy requires refueling at certain places. There are several reasons for this: fuel cards use, fuel quality and the contract. By marking the necessary gas stations as geofences in the monitoring system, a head can monitor the entry and exit from the stations, refueling and drains. 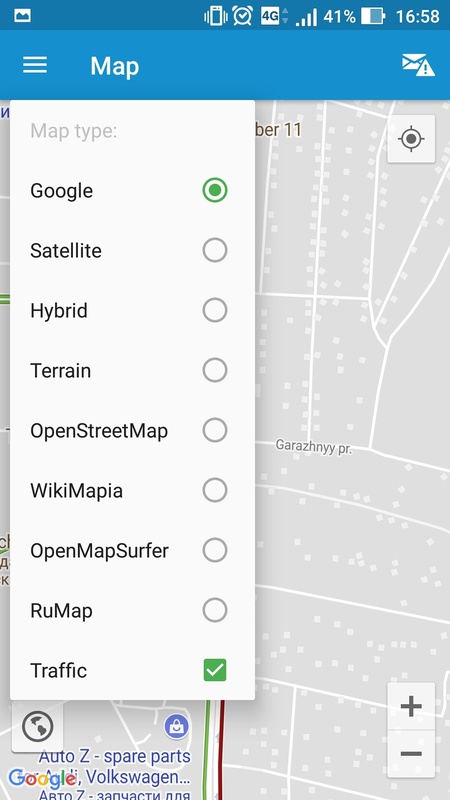 Sometimes there are too many gas stations on the list so that you have to draw each geofence which takes too long and is just irrational. It’s easier to load geofences or places as a list using Excel document. Now, in order to prepare a document, it is enough to add the coordinates or address to it. You do not need to specify both parameters. You, as the platform’s owner, can brand your service — this is no news. What was changed is that now your customers can harmoniously place the logo into their service. Users will be able to see their logo in the web interface and saved PDF reports. It’s worth noting that the platform’s owner can offer a client to brand the service for an additional fee. For example as a separate tariff. The tool will be useful for companies that work with field personnel: merchandisers, sales representatives, couriers. A form is actually a questionnaire or survey in an employee’s smartphone. After the goods are displayed at the spot, a merchandiser fills in some questionnaires of this kind. A sales representative can specify what goods are to be ordered additionally. Initially, a head or a supervisor creates a form for an employee and then it is attached to a task. It is easy to create a form with the help of the form designer — just set various fields and here it is. An employee can open the current task in a smartphone or tablet, complete it and then fill out the form. The form is then sent to an office for reporting and analyzing the data received, etc. If you want to learn more about “Forms”, read our detailed review. It is known that clients can regulate access rights to a GPS tracking system for employees as well as restrict access to certain features of a system to different employees and departments. 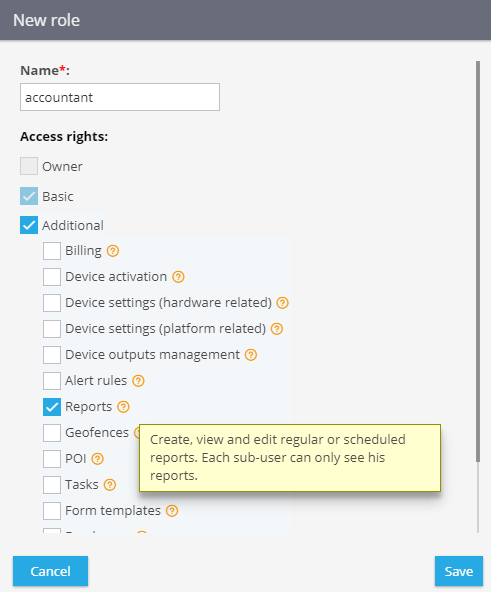 Now access to the “Reports” app can be turned on or off. Probably, a head of the company, a supervisor or an accountant will need to analyze the data obtained through reports. The marketing department or an average logistician, on the contrary, most likely will find it of no use. Why then to clutter up employees work fields? Save only the necessary functionality. A convenient visual widget-panel that display the required indicators in real time has already proved itself. Having a look at it, your customers can get info on a particular car trunk fuel level, mileage and speed. Now the panel also displays VIN vehicle information. 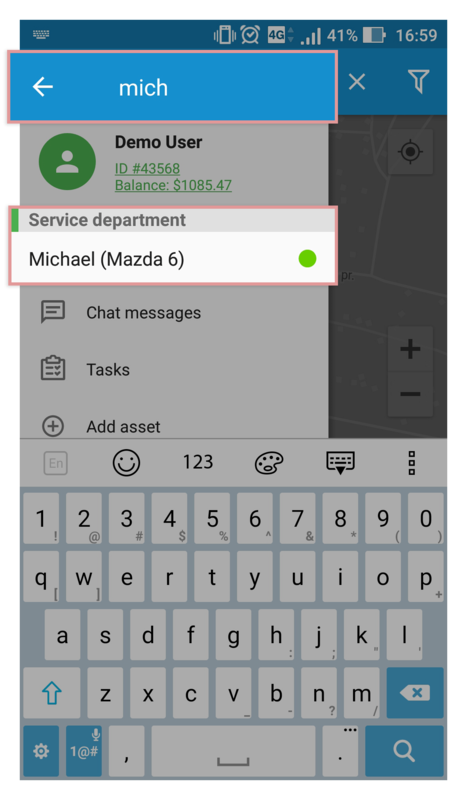 Vehicle number is unique for every car, so its change signals the vehicle owner that the OBD2 tracker was moved to another car. This is already being actively used by the car sharing services and companies that rent out cars. 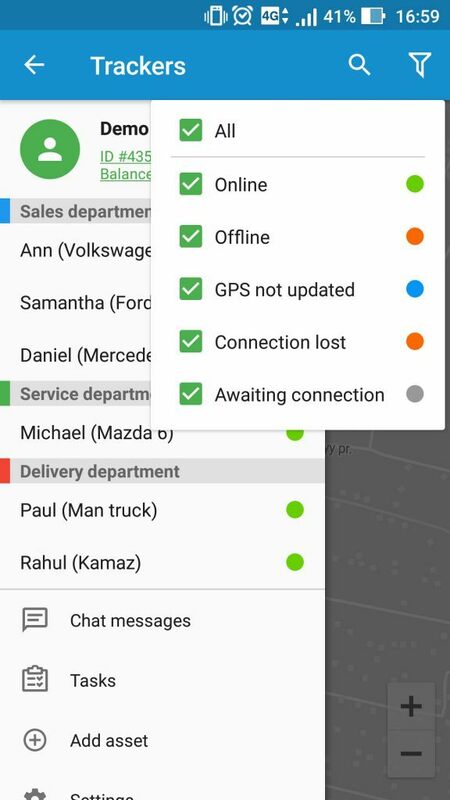 X-GPS Monitor is a mobile app that gathered all of the Navixy web-interface functionality a director, executive or supervisor needs: objects management and monitoring. The application is constantly updated and supports Android and iOS platforms. Though, this time it was the X-GPS Monitor for Android that got 4 updates. Object search has become more convenient. Now it’s enough just to type a couple of letters into a quick search bar to “catch” the desired object. 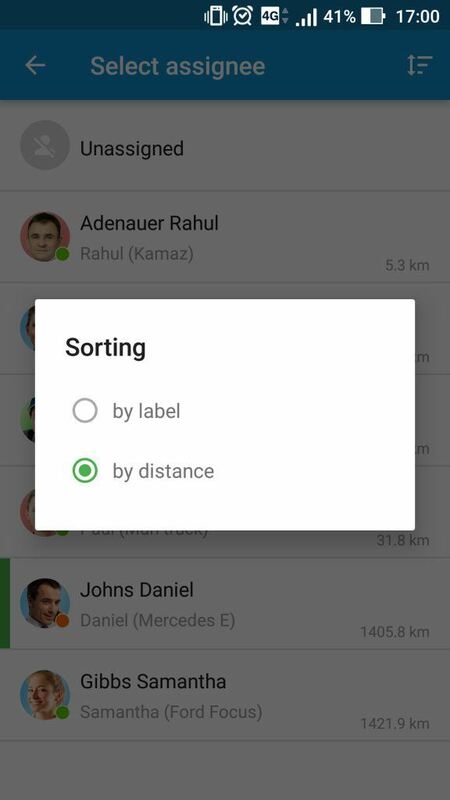 You can as well filter GPS trackers by status: offline, online, waiting for connection, etc. View info on traffic jams. Transport and employee route planning has become more convenient. Online odometer and hour meter appeared. Thanks to intuitive widgets, you can see the engine mileage and engine hours from a smartphone or tablet. When changing a task performer, you can select the nearest employee. This will allow to make prompt and right decisions and raise work efficiency. This is all we have for August-September. Follow the system updates. Subscribe our Facebook and Twitter to stay tuned.